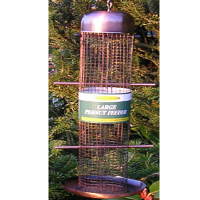 Peanut Feeders with small mesh to ensure small wild bird species can not take whole peanuts. 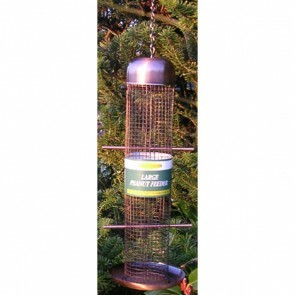 We also sell strong squirrel resistant peanut and seed feeders to try and ensure that all the birds in your garden including the smaller species, get access to the food as well. All our wild bird feeders are easy to fill, hang & use! Please ensure that you hang your Peanut Feeders away from locations where predators may be able to hide. Wild Bird Peanut Feeders: 5 stars out of 5 based on 0 user reviews.